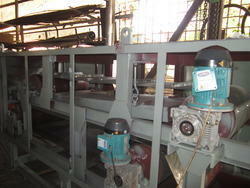 Pioneers in the industry, we offer permanent magnetic concentrator from India. Permanent Magnetic Concentrator offered are highly functional range of Permanent Magnetic Concentrators that provide for easy movements from one place to another and also require least maintenance and recurring operation costs. Finding application in lifting of long length M.S. sheets using multiple magnets in series position, these can be made available in different lifting capacities including 100kg, 200 kg and others.